Sanvall Camphor is made with highest quality and the highest purity in the market. This is an "old house wife" remedy. Perfect for travelers that are worried about bed bugs and protect stored clothes from moths. Place one or two of these tablets in the inner linings of your suite case and bed bugs NEVER come home with you. Because of its purity the tablets do not leave a residue, unlike other imitation or generic brands that are either inconsistent in purity, or poor quality. Sanvall brand is highest in standards and in purity. 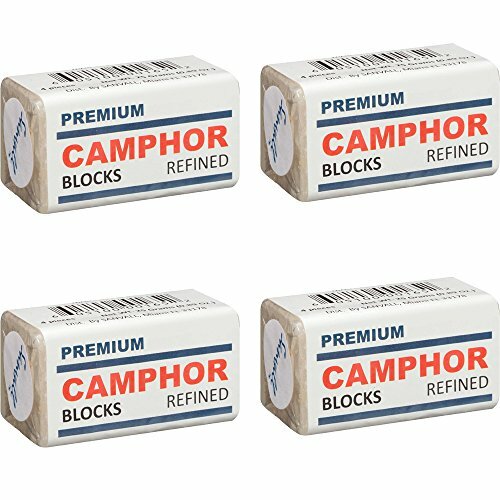 Camphor Block is also another home remedy to make sure your silverware and tools do not tarnish or rust. Because of the purity of these tablets no residue is left keeping it clean and safe. El alcanfor ayuda a repeler plagas de insectos. Es ideal para los viajeros que no quieren traer en su equipaje chinches o polillas a sus hogares. If you have any questions about this product by Sanar Naturals, contact us by completing and submitting the form below. If you are looking for a specif part number, please include it with your message.